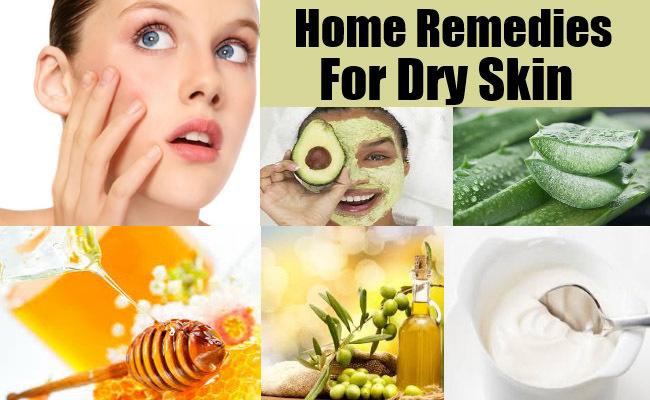 Read on to get facts on what’s causing your dry skin and learn the best home remedies and tips to do in order to deal with. 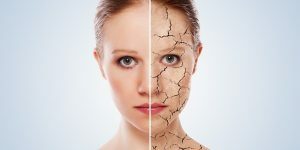 2 What are the Symptoms of Dry Skin? 3 What’s Causing Dry Skin? 5.1 What are the Symptoms of Dry Skin of Heels? 5.2 What’s Causing Dry Skin of Heels? 5.3 How to Treat Dry Skin of Heels? 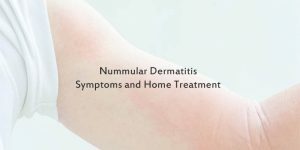 Dry skin, which is also known as xeroderma or xerosic dermatitis, is a common skin condition that characterized by a lack of the appropriate amount of water in the epidermis, which is the most superficial layer of the skin. Dry skin tends to affect males and females equally; however, older individuals are much more prone to dry skin. The skin in elderly people tends to have diminished amounts of natural skin oils and lubricants. Many areas such as the arms, hands, and lower legs are more affected by dry skin. Dryness of the skin is affected by the amount of water vapor in the surrounding air, the humidity. Commonly, dry skin can be mild; temporary condition that doesn’t last more than weeks. However, it can be more severe that last for long term due to some skin problem or conditions. The symptoms of dry skin include discomfort from skin tightness and itching. External factors like weather can also affect the severity of skin dryness. For example, cold or dry air and winter weather usually worsen dry skin. People whose occupations require more frequent hand-washing and sanitizing will more often experience dry skin. However, the bad news that dry skin can also be a side effect of some medications. The key symptom of dry skin is itching. If you have dry skin, you will often find rough, dry, red patches on your skin, which are often itchy. The most skin areas that are affected are including arms, hands, lower legs, abdomen, and areas of friction such as ankles and soles. Because skin dryness becomes more severe, cracks and fissures must evolve. 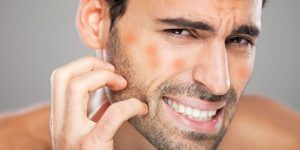 The itchy feeling can worsen the severity of your dry skin. Itching will lead to the development of the “itch-scratch” cycle. That is, as a person feels itchy, he scratches in response, that will exacerbate the itch and so on. The itch-scratch cycle is usually seen when conscious control of scratching is low or absent, for example during sleep. Rubbing the skin and constantly scratching can cause your skin to become thick and leathery. For other people, small, red, raised bumps may appear on their skin. 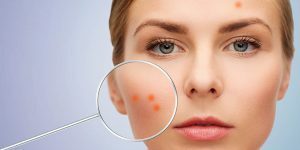 These bumpy spots can be irritated, opened, and infected if scratched. There is no exact cause of dry skin. Dry skin causes can be classified as external and internal. External factors are the most common causes and are the easiest to address. They include cold temperatures and low humidity, especially during the winter. 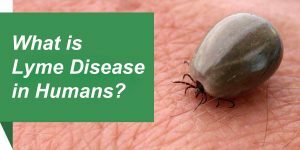 Internal factors include overall health, age, genetics, family history, and a personal history of other medical conditions like atopic dermatitis. In particular those with certain thyroid diseases are more prone to have dry skin. When the temperature drops, the humidity level plunges too. Dry air leaves skin parched. Turning up the thermostat doesn’t help, either. Indoor heating strips even more moisture from the air and your skin. You need to install a humidifier in your home to keep air moist. Set humidity at a constant 45% -55%, and the temperature at a balmy 68 degrees Fahrenheit. Before you go outside in wintry weather, you should create your own moisture barrier. Protect your most sensitive parts, such as lips, face, and hands, with a scarf and gloves. Bathing and showering add water to skin; however, it is the evaporation of this water after the completion of the immersion that results in dry skin. Skin that feels tight after bathing can indicate excess removal of natural skin oils. Setting the shower too steamy soothes your body, but it won’t do your skin any favors. Dial down shower temperature to lukewarm, and keep showers short. Save the singing for your car please. Five minutes is enough to get clean without over-drying. Don’t put just any bar of soap into your shower dish because they’re not all the same. One of the common factors that causing dry skin is frequent application of harsh soaps. The type of soap has a large impact on dry skin. Soap is an emulsifier which removes oils on the skin. The more your skin is scrubbed with soap, the more oil is removed resulting in dryer skin. So excessive use of soaps will worsen dry skin. 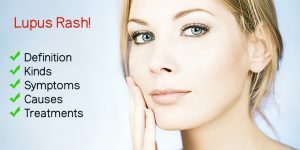 Moreover, dry skin can persist or worsen if moisturizers are used improperly or if you choose an inadequate moisturizer. The material of different clothing also can affect dry skin. Some materials such as wool or synthetic fibers tend to irritate the skin and worsen dry skin. Dry skin condition can be caused due to taking some medicines. Some examples are drugs for high blood pressure, high cholesterol, allergies, and acne. Dry skin problem can be a sign of an internal medical condition. For instance, aging may inherently can make people more prone to developing dry skin. Moreover, eczema, psoriasis, diabetes, hypothyroidism, and malnutrition are all associated with dry skin. 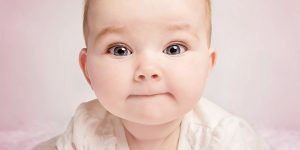 What’s making your baby’s skin dry? Babies and children get dry skin just like adults do. Actually, because young skin is more delicate, it’s more susceptible to be dry. Cold, dry outdoor air and indoor heating rob skin of its natural moisture in the winter. If your child is prone to dry skin, he’ll break out in dry patches in the summer because the summer sun, air conditioning, salt water, and the chlorine in pool water can all be drying. Bathing will dry a baby’s skin because it removes the skin’s natural oils along with the dirt. However, as long as you take a few precautions, daily baths shouldn’t be a problem. Instead of a 30-minute bath, cut bath time down to about 10 minutes. You should use warm water and soap up sparingly. In fact, doctors suggest using a fragrance-free, soap-free cleanser, which is much less harsh than regular soap. Let your child have her playtime in the tub before you wash him, so she won’t be sitting in soapy water. Don’t leave the cleansing bar floating in the tub. You may want to cut bubble baths out of your child’s routine or limit them to special occasions. Bath oils seem like a good idea; however, they can make the tub dangerously slippery. Most of the oil slides down the drain anyway. Applying an emollient after bathing is a better route. Once you take your child out of the bath, pat him dry with a towel quickly, then apply moisturizer immediately. Applying the moisturizer within minutes of taking your child out of the tub can seal in the water in his skin from the bath. Once moisturizers go, the general rule is the thicker the better. 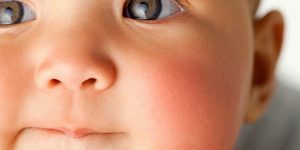 If your baby’s skin is still dry even with daily moisturizing, you need to try switching from a lotion to a thicker cream or ointment. You may want to consider moisturizing twice a day, once after bathing and once during the day. If your child doesn’t have the patience for a midday slather, you can let him listen to a favorite song or watch a video while applying the moisturizer. If your child old enough, let him do it himself, if that makes the routine more agreeable. If the air in your home is dry, you can use a cool mist humidifier in your child’s room. Chlorine and salt water can be very drying. After a swim in the pool or ocean, rinse off your child with tap water, and then apply moisturizer while his skin’s still damp. Dry skin lacks moisture. Therefore, offer your child plenty to drink year-round to replace the moisture which is evaporating from his skin. Remember that drinking a lot won’t do anything if you don’t moisturize as well. Without moisturizer to hold in the water, your child’s skin won’t properly hydrate. Avoid using powders or perfumes on your child’s skin. Consider using unscented laundry products. 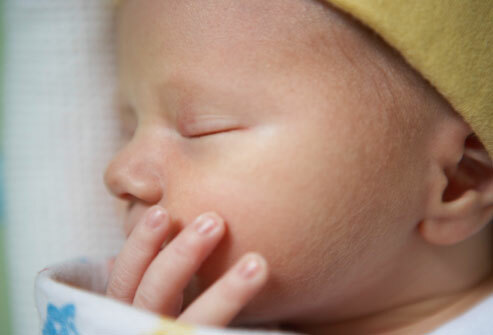 If your baby’s skin is sensitive, you must rinse his clothes twice, to remove all traces of soap residue. If your child’s skin is very sensitive, don’t dress him in clothing which is tight or rough. Moreover, keep in mind that some fabrics, such as wool, can be irritating to dry skin. Be diligent about keeping your child’s nails clean and short if itching is a problem. Make sure your child wears mittens or gloves in cold weather to keep her hands from becoming dry and chapped from the cold and the wind. No matter what the season, take steps to protect her from windburn and sunburn. Could Dry Skin Be a Sign of Other Conditions? If your child has itchy red patches on his skin, it could be eczema, which is also known as atopic dermatitis. 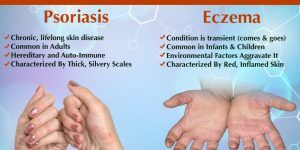 Sometimes, eczema can clear up with regular moisturizing, so you needn’t rush to the doctor unless the patches don’t get better or your child looks itchy or uncomfortable despite your all efforts. 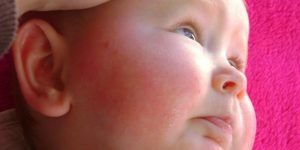 In rare cases, dry skin may indicate a genetic condition that called ichthyosis. 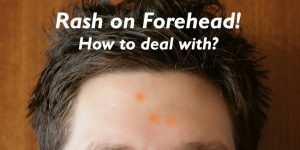 It has been shown up as dry skin with scaling and redness. It’s also accompanied by a thickening of the palms of the hands and the soles of the feet. 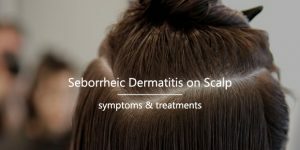 If your doctor suspects that your child has ichthyosis, he may refer you to a dermatologist evaluation and treatment. 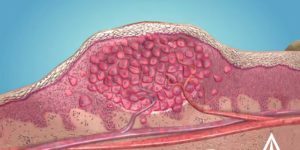 When dry skin occurs on the feet, the symptoms of discomfort are magnified due to shoe wear, the stretching of your skin on the feet each time you step down, and by certain synthetic materials in the socks and shoes that dry the skin out even more. Because of the confining nature of the shoes that you wear and the lack of fresh air that hits the skin of your feet due to your socks and shoes, dry feet need specialized care in order to prevent pain. 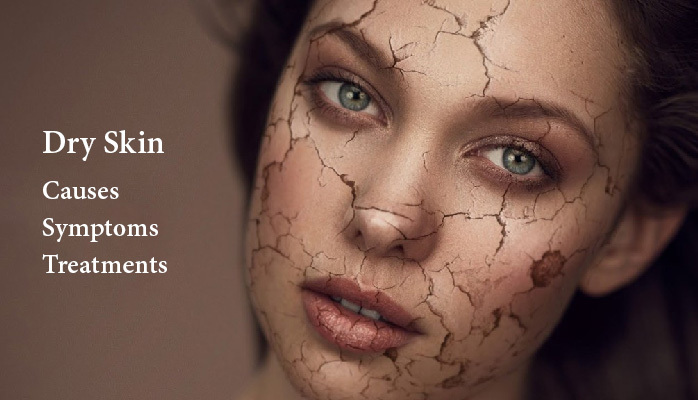 For most people, dry skin is a cosmetic problem; however, when allowed to become excessively dry, the skin tears and cracks, producing painful fissures. If treatment is not initiated early, not only can the pain become intense, but also the cracks and fissures may bleed. Once bleeding occurs, your skin is prone to bacterial infections and athletes foot. The heels of the feet seem to be the most prone area to developing painful fissures. Cracked and fissured heels result from a combination of thick calluses around the heel and dry skin. What are the Symptoms of Dry Skin of Heels? Your skin feels tight or painful. Your skin appears yellow or brown in color, and may become inflamed due to itching and scratching. Your dry skin may become thick and hard. Your feet may become painful while walking. This discomfort is increased when walking barefoot, in thin sole shoes, or open back shoes. If the cracks are deep, bleeding may occur. What’s Causing Dry Skin of Heels? Weather: the exposure to excessively cold outdoor temperatures. Hot baths and showers. Frequent bathing, especially if you like the water hot, will break down natural skin barriers allowing moisture to escape. Inactive sweat glands. This is due to the genes we inherit. Extra weight on the feet can destroy sweat glands. Years of prolonged standing in one spot can also destroy sweat glands. Chronic skin problems such as eczema and psoriasis. Certain chronic diseases such as hypothyroidism and diabetes can cause your skin to become dry and irritated. Some prescription drugs such as diuretics and antihistamines can have a drying effect. Biomechanical foot defects cause abnormalities in the way you walk, which causes certain areas of the feet to bear abnormal amounts of weight. This abnormal weight not only destroys sweat glands in these areas, but produces areas of thick, hard, and dry skin. Some of the more common biomechanical defects which will produce problems including Flat feet, high arches, and pronation. How to Treat Dry Skin of Heels? The skin of the feet have no oil glands and must rely on the sweat glands to moisturize your skin. The lack of oil glands will make preventing dry skin difficult; however, if you had oil glands on your feet, you would slip and slide with each step we took. Exfoliating and moisturizing will return your skin to its soft, supple, and natural appearance. Exfoliating dry dead skin allows moisturizers to penetrate deeply into your skin. Moisturize after bathing. Make sure that you pat your skin dry. Your skin is still damp, so apply a moisturizer that will hold the water in, and keep the skin from drying. Add oil to your bath. Oil will soothe dry irritated skin and help your skin lock in moisture. Wear well-padded and supportive shoes to protect your feet, at all times. Do not go barefoot! Avoid nylon and rayon socks because these materials cause dryness of the skin. Each night before going to sleep, soak your feet in a half and half mixture of mineral oil and lukewarm water. Soak for 10 minutes. After soaking, massage the mixture to remain on the feet into the skin. Put on clean soaks or put on a pair of our Gel Dry Skin Therapy Socks. If pain becomes worse, if you have open sores, or if you think that you have an infection, see your doctor immediately. There are many lotions and moisturizers on the market to treat dry skin. However, most of them come with a big price. 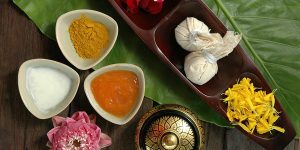 Natural home remedies are not only cheap, but also effective in nourishing and hydrating your dry skin back to a healthy state. Olive oil contains many anti-oxidants and healthy fatty acids that are good for your skin. It will soothe and condition dry skin all over your body. Dab a thin layer of extra virgin olive oil under your moisturizer. About a half an hour before taking a shower, you need to rub some olive oil on your hands, legs and areas with dry skin and massage lightly. Take a shower and then apply a light moisturizer. Mix two tablespoons of olive oil, four tablespoons of fine brown sugar, and one tablespoon of honey. Just rub this homemade scrub on your dry skin using light, circular motions for a few minutes. Take a shower and then apply a light moisturizer. The lactic acid present in milk cream helps exfoliate dry skin. The soothing nature of milk cream helps preserve your skin’s delicate pH levels. Milk cream is also an excellent moisturizer. Mix a few drops of lemon juice, one teaspoon of milk and two teaspoons of milk cream. Rub it on your hands and legs. Leave it on for a while before you take a shower. Do this once daily. Add enough milk cream to 3-4 tablespoons of gram flour to make a thick paste. Apply the paste on your face, hands and legs. Leave it on for 15 minutes and then rinse it off with lukewarm water. Do this once daily. Milk has anti-inflammatory and soothing properties that help to get rid of dry and itchy skin. Moreover, the lactic acid in milk exfoliates dead skin cells and increases the skin’s ability to retain moisture. It helps lighten your complexion. Soak a washcloth in cold milk and put the cloth on your dry skin for 5-7 minutes. Wash off the milk gently with another cloth soaked in lukewarm water. This natural moisturizer will remain on your skin. Do this every other day. Add a few drops of rose water to four tablespoons of milk. Rub this solution all over your body. Leave it on for 10 minutes and wash your body with cold water. Follow this remedy twice daily. Honey is one of the best natural moisturizers that loaded with antioxidant, antimicrobial, and humectant properties. So, it helps lock in moisture to make your skin extra soft and smooth. Honey has many essential vitamins and minerals that help improve your skin’s health. Before taking a bath or shower, rub honey all over your body and leave it for five to 10 minutes. Repeat daily to enjoy well-moisturized skin. Measure out equal parts of unprocessed honey, beeswax, and olive oil. Melt the beeswax in a small pan over low heat. Remove it from the heat and mix in the honey and then the olive oil. 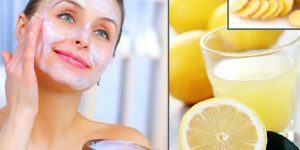 Apply this mixture on your body and leave it on for 10 minutes. Then take a shower. Repeat daily or every other day. Yogurt is an excellent skin-hydrating agent. Its antioxidant and anti-inflammatory properties will help soothe dry and itchy skin. Also, its lactic acid content can help get rid of any germs or bacteria that will cause dryness or itchiness. Apply fresh yogurt on your hands, face and legs and gently massaging it into your skin. Leave it on for 10 minutes and then take a bath or shower. The mild exfoliating action of yogurt can remove dry skin and leave your skin refreshed. Do this once daily. Mix one-half cup of yogurt and 3 tablespoons of mashed or blended papaya. Stir in a few drops each of honey and lemon juice. Apply it on your skin and leave it on for 10 minutes before washing it off with cold water. Do this once a week. Coconut oil is very good for treating dry skin. It has a good amount of fatty acids that can make up for any loss of moisture from the skin. Apply warm coconut oil all over your body before going to sleep. Wash it off in the morning. Do this daily to make your skin soft and smooth. Apply coconut oil on your dry skin after you take a bath or shower. When the skin is warm and supple from your bath, coconut oil is more absorbed. Do this daily. Avocado is packed with fatty acids, vitamins and antioxidants that will help improve your skin from the inside. The high vitamin A content helps in skin maintenance and repair to restore smooth and silky skin. Mash the pulp of an avocado into a smooth paste. Rub the paste on your dry skin. Let it sit on your skin for 10-15 minutes and rinse it off with cold water. Repeat the process once daily. Mash one-half of a ripe avocado and stir in one-half cup of honey. Apply the mixture on your dry skin and let it sit for 15 minutes before rinsing it off. Apply this hydrating face mask once or twice a week. Do not use more often than that. Also, you can drink a glass of an avocado smoothie daily to increase your intake of healthy fats that will help keep your skin hydrated and moisturized. You can use oatmeal to moisturize and relieve dry skin. The high protein content in oatmeal will leave a protective barrier on the skin, which prevents water loss and helps maintain moisture. Moreover, it has anti-inflammatory and anti-oxidant properties that are good for the overall health of your skin. Just Pour one cup of plain oatmeal into your bathtub filled with warm water. Add a few drops of lavender oil. Soak in the bath water for 15 to 30 minutes. Enjoy this soothing bath once a week. You can make a face mask by mixing one mashed ripe banana with one cup of ground oatmeal and then adding a little bit of lukewarm milk. Apply this smooth mixture on your dry skin and leave it on for 10-15 minutes. Rinse it off with cold water. Use this face mask once a week. Almond oil is very excellent source of vitamin E and it is considered the best emollient and lubricator for dry skin. Moreover, its anti-oxidant property is good for your skin’s overall health. In addition, this oil is non-greasy, so it is easily absorbed in the skin. Gently warm up some pure almond oil. Massage your body lightly with the warm oil a half an hour before taking a shower. After your shower, when your skin is still damp, apply light moisturizer. Do this once daily. You can also drink a glass of warm milk mixed with one teaspoon of almond oil before going to bed. Repeat every night to enjoy healthier skin. 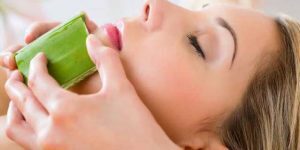 Aloe vera has soothing, anti-septic and anti-fungal properties that can help combat dry, irritated skin and prevent flaking. This simple remedy will moisturize your skin and form a protective layer that can keep your skin free from any kind of impurities. Cut open a fresh aloe vera leaf and squeeze the gel out of it. Apply the gel on your dry skin. Let it sit for 10-15 minutes. Rinse it off with lukewarm water. Do this twice daily. Try these easy remedies at home to relieve the discomfort which comes from dry skin and restore its natural soft, smooth texture.